I’ve already written about the Muppets once this month, but I continue to be inspired by the release of The Happytime Murders. That probably shouldn’t be the case, but when a Henson company makes a movie, I perk up and take notice. This time around, I’d like to set you down and talk about how the original Muppets were just as transgressive as the Happytime crew claims to be. Sure, they’re not transgressive in that they’re secretly peddling raunch or drug use or what have you (although the “Mah Nà Mah Nà” song was taken from a Scandinavian softcore film, so they aren’t totally exempt there). Where they’re transgressive is in the narrative itself, which takes traditional children’s entertainment and completely blows it up, reconstructing it into something startlingly fresh and new, even all these decades later. Now, the Muppets have always had a pleasing vein of meta humor. Almost every Muppet project involves Kermit and the gang openly admitting that they’re putting on a show, sometimes within the narrative itself (as in The Muppets Take Manhattan, where the gang is trying to debut their Broadway musical “Manhattan Melodies”, or The Muppet Show and ABC’s The Muppets which involve the production of a vaudeville act and a late night talk show respectively), but mostly using a winking, self-referential metanarrative. This happens especially in the opening sequences of most of their cinema outings. 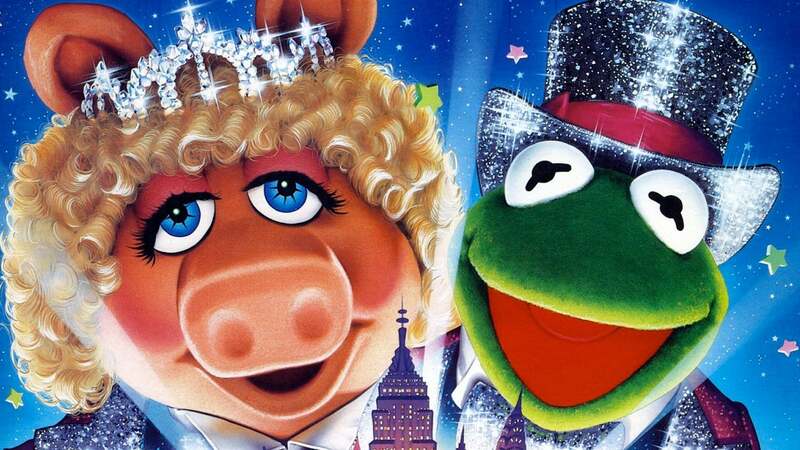 1979’s The Muppet Movie opens with the Muppets all sitting down to watch the premiere of the film you’re about to watch, and other films like 1981’s The Great Muppet Caper and 2014’s Muppets Most Wanted put on musical numbers literally about the fact that they’re making a movie. So already, the Muppets are adding a clever layer that transcends what can normally be expected from family-oriented entertainment. The Muppets always ask for a second level of thought, enjoying the narrative for what it is, but also engaging with the fact that it is a narrative and that it’s constructed by people who want to entertain you. But it wouldn’t be the Muppets if there wasn’t something even smarter pulsing at the core, and this particular special something is the source of every ounce of Muppet magic that has captivated the young and old alike for so many decades. You see, there are other meta children’s shows out there, but while they use meta humor to please, they also undermine the very conceit of the show (the character Meowth in Pokémon especially rises to my mind – in one episode he jokes about the cartoonist never giving him a nose – and of course, there’s the classic Looney Tunes short Duck Amuck, which legendarily depicts Daffy arguing with his own animator). By admitting that they’re essentially fake, they run the risk of breaking the fourth wall so much that it shatters, preventing viewers from completely investing in the storyline. But as much as the Muppets constantly joke about the fictional nature of the goings-on in their movies and TV shows, there is never ever an admission that the Muppets are just bits of cloth with eyeballs glued on. This complete and total belief in the reality of its own characters is an essential part of why the Muppets franchise has been so enduring and beloved. The meta humor allows the characters to be charming; they don’t talk down to you, and they teach you how to think about art and fiction. But they’re also cuddly, lovable, and entirely alive. Under no circumstances is that trust and bond with the audience broken. We love the Muppets because they love us back, and that love is real because they are real. That is the secret ingredient, and if you’ll excuse me, I seem to have something in my eye again. Brennan Klein is a writer and podcaster who talks horror movies every chance he gets. And when you’re talking to him about something else, he’s probably thinking about horror movies. You can find his other work on his Dread Central column applying film school theory to silly horror movies, his Ghastly Grinning column pairing the week’s releases with the perfect classic horror double feature, and his blog Popcorn Culture where among other movie reviews, he is running through every slasher film of the 1980’s. Also check out his podcast Scream 101, where he and a non-horror nerd co-host tackle horror reviews with a new sub-genre every month!